ComeSeeOrlando.com: MAROON 5 Announces New Single “Wait” Out Today! 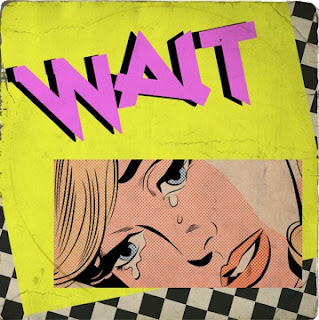 MAROON 5 Announces New Single “Wait” Out Today! Los Angeles, CA, January 16, 2018—Today, three-time GRAMMY® Award-winning multi-platinum band Maroon 5announce their new single “Wait” via 222 Records/Interscope. The band also unveils the music video for “Wait”, exclusively on Spotify (US), followed by a worldwide release on VEVO tomorrow, January 17th. The music video was made using only an iPhone and the Snapchat app. Maroon 5 is also set to perform the song live on ABC’s Jimmy Kimmel Live this Thursday, January 18th. In addition, the band will debut two remixes with Chromeo onFriday, January 19th and A Boogie wit da Hoodie on Friday, January 26th. “Wait” is the second single off of Maroon 5’s sixth studio album, Red Pill Blues. Executive produced by J. Kash andAdam Levine, it features special guest appearances by SZA, Julia Michaels, A$AP Rocky and LunchMoney Lewis. The album release included a comprehensive marketing partnership with Snapchat, that included Snapchat Lens-themed album artwork and a custom Snapchat Lens for the single "What Lovers Do," which was viewed by Snapchatters over 2 billion times. “Wait” is the latest addition to a series of hit tracks Maroon 5 have debuted recently. In August, the band delivered the irresistible single “What Lovers Do” featuring Top Dawg Entertainment artist SZA, making for a collaboration that uniquely merges their signature style with SZA’s seductive delivery. The track accumulated over 385 million Spotify streams and 197 million YouTube/VEVO views. The band also delivered the hypnotic single “Cold” featuring Future, which amassed over 284 million Spotify streams and 119 million YouTube/VEVO views. The release of “Cold” followed the group’s massive hit single “Don’t Wanna Know,” featuring Kendrick Lamar, which hit the Top 10 in fifteen countries and nearly 370 million YouTube/VEVO views. In conjunction with the new album, Maroon 5 also recently announced their Red Pill Blues world tour produced byLive Nation. The first leg of dates are set to kick off on May 30th at the Tacoma Dome in Tacoma, WA and will feature special guest Julia Michaels. Tickets are on sale now. Please see below for routing and click HERE to purchase tickets. Maroon 5 stand out as not only one of pop music’s most enduring artists, but also one of the 21st century’s biggest acts. To date, the universally renowned Los Angeles band have achieved three GRAMMY® Awards and become “the most successful group in the history of the Billboard Hot 100” with 12 Top 10 entries, sold over 20 million albums and 48 million singles worldwide. The band has additionally earned gold and platinum certifications in more than 35 countries. Maroon 5 won over fans and critics alike with the hybrid rock/R&B sound they introduced on their debut album, Songs About Jane and their double platinum album, It Won't be Soon Before Long. In 2010, the band released their third studio album, Hands All Over, which featured the hit singles “Misery” and the anthemic “Moves Like Jagger,” which has become one of the best-selling singles of all time. In 2012, Maroon 5 releasedOverexposed, which quickly reinforced the group’s status as a powerhouse in popular music with all of the collection’s singles rising to the top of the charts. Maroon 5’s fifth studio album, V, debuted at #1 on Billboard’s Top 200 chart and featured the hit singles “Maps,” “Animals” and “Sugar,” all of which went #1 on the Top 40 chart, helping the band quickly also set a record for the most #1’s by a group in the Top 40 chart’s 20-year history, with 9 in total. The music video for the album’s GRAMMY- nominated single "Sugar" has notably logged a record setting 2+ billion views to date. 2017 saw the musicians release three additional chart-topping singles, “Don’t Wanna Know,” “Cold,” and “What Lovers Do,” as well as close out a massive world tour that touched down in 30-plus countries for 120 concerts in front of more than 2.5 million fans. On this tour, Maroon 5 also became the first American artist to headline two nights at “Rock In Rio” in September 2017.